Dr Sheila Garrity is a Lecturer with the UNESCO Child & Family Research Centre and the School of Political Science and Sociology. She is also the Academic Coordinator of the BA Honours Degree in Early Childhood Studies & Practice and the MA in Early Childhood Studies, delivered through the Centre for Adult Learning & Professional Development at NUI Galway. Dr Garrity lectures on a number of modules and supports the lecturing team within the programme and also lectures in the School of Political Science and Sociology at NUI Galway. As part of her role with the UNESCO CFRC, Dr Garrity contributes to the MA in Family Support Studies (FSS) and supervises MA/FSS for the Year 2 thesis. She also supervises Doctoral students based in the U-CFRC and contributes to a number of Graduate Research Committees across the University. Sheila completed the MA in FSS through the U-CFRC and the Structured PhD in Child & Youth Studies. The focus of her doctoral research was an ethnographic study of relationships between mothers and their childcare providers within the Irish Early Years context.Sheila sat her doctoral VIVA on November 6, 2013 and was formally conferred with her PhD on 17th June, 2014. Dr Garrity's professional expertise is sought after from groups and organisations at a national level. Most recently the Department of Education and Skills requested Dr Garrity act as an 'External Examiner' in a review of the Early Years Education Focused Inspections. 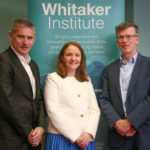 In addition, the Academic Council of the Dublin Institute of Technology approved Dr Garrity as the External Examiner for the newly developed MA degree in Mentoring, Management and Leadership in the Early Years. (2016) Hoping for a Better Tomorrow A process study evaluation of the Greater Tomorrow Creche and Ballyhaunis Preschool Services, Ballyhaunis, Mayo. Summary Report. (2016) Hoping for a Better Tomorrow A process study evaluation of the Greater Tomorrow Creche and Ballyhaunis Preschool Services, Ballyhaunis, Mayo. (2016) 'Hoping for a Better Tomorrow' A Process Study Evaluation of the Greater Tomorrow Créche and Ballyhaunis Community Preschool Services, Ballyhaunis, Co. Mayo. Qualitative Social Research, including ethnography. Full Year, Year One Work Based Project Year 1: Reflective Practice ECS106 Introduction to the theories and practice of reflection in ECEC. 3rd Year, Spring Early Childhood Education and Care: Research and Policy SP3113 Exploration of policy development in Ireland in relation to the Early Childhood Education sector; the impact of research in ECEC is considered in terms of influencing policy development. Irish policy is situated within the European and International context.